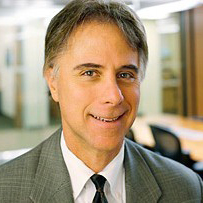 Steve is also CEO, or “Chief Entrepreneurial Officer” of Vanderbilt Financial Group, founded in 1965. Vanderbilt Financial Group has a unique culture with a passion for investing in the future, literally. Not only is the Vanderbilt Financial Group Headquarters a green and sustainable building, but the firm is also dedicated to investing in socially and environmentally responsible, ethical, and impactful causes. Steve is innovative, forward thinking, and passionate about creating purpose in business. He encourages the firm’s advisors to build their businesses with the mindset of an “impact entrepreneur” with an ESG focus to create a sustainable business that effects positive change. As the Chief Disruption Officer of Impact U, Steve’s mission is to create a strong and collaborative community of experts in impact investing. Steve and his wife Heidi, Vanderbilt’s Chief of Staff, have been married since 1988 and together share two beautiful children, Elizabeth and Quinten. Steve loyally serves on a number of community boards sharing his passion for service, business, and clarity in numbers. Additionally, he proudly serves on the New York Board of The Entrepreneurs’ Organization that is comprised of over 13,000 entrepreneurs worldwide, and recently founded a Long Island chapter. Matt Ackermann is an award-winning journalist and director of multimedia at InvestmentNews, where he manages video and creative projects. Since joining InvestmentNews in August 2013 as its digital editor, Matt has told everyone that he has the “fun job” at InvestmentNews. He produces video programs, including Practice Makeover and Gadget Girl, and multimedia for IN’s award-winning series, GameChangers. 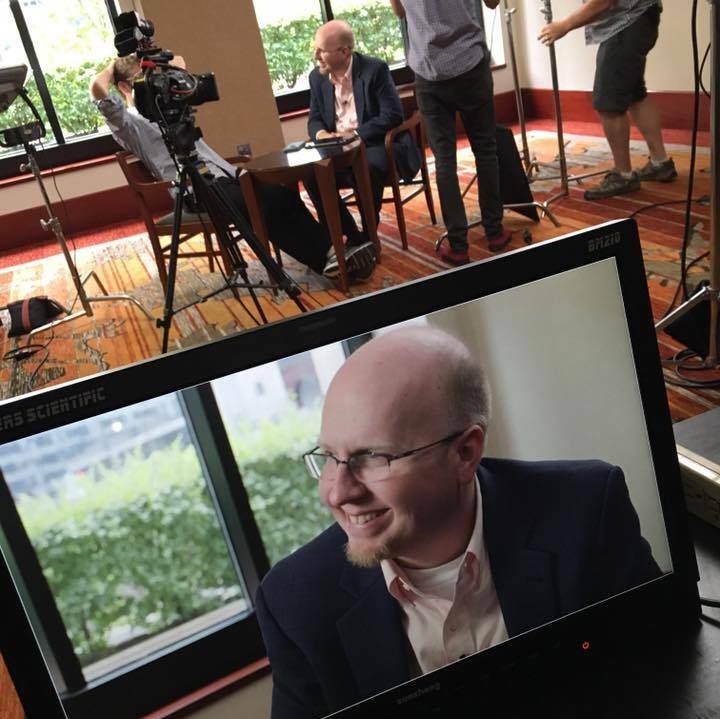 Matt is the host of InvestmentNews’Game Day, which travels to events interviewing executives and thought leaders. Through the show, Matt has played chess with Garry Kasparov, interviewed Mark Cuban, and toured lower Manhattan with Tony Robbins. Previously, Matt was online editor-in-chief for SourceMedia’s investment advisor group, where he launched its video channel, AdvisorTV. From 2011 to 2012, he was an executive vice president at Jennifer Connelly Interactive Productions, where he produced multimedia for financial companies. Matt is a graduate of Seton Hall and won the New Jersey Press Association Rookie of the Year Award in 1997. He is a member of Seton Hall’s Presidential Advisory Group. A semi-pro baseball coach since 1994, he and his wife Marisa are the parents of a seven-year-old son, C.J., who has an encyclopedic knowledge of Pokemon and Harry Potter, and a one-year-old, Ryan, who someday will play for the Baltimore Orioles. 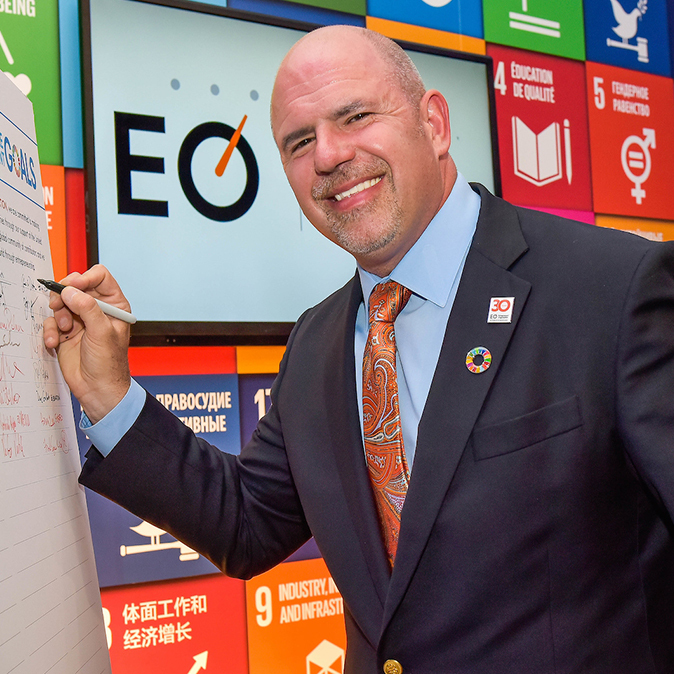 Tony Calandro is an accomplished leader with more than 25 years of experience in sustainability and social impact. He founded Purposeful Strategies as a values-centric consultancy driven by the belief that business can be a force for good. Prior to creating Purposeful Strategies, Tony was a Senior Partner at VOX Global, a subsidiary of Fleishman Hillard International, where he chaired the firm’s sustainability practice group. Tony serves as the publicist for “Igniting Impact,” and in this capacity manages the documentary’s visibility and outreach, including private screenings; local events; film festivals; and, distribution.